With the economy going up and down, you never know when you may need to spruce up your old resume. There may be a new job opportunity available, or a loss of a job may leave you in need of another. However, when the economy isn’t doing as well, it usually means there are a lot of people who are applying for the same job that you are. This can be frustrating when you are searching for a job, and not hearing back from prospective employers. If the interviews are going well, and you aren’t hearing back, there may be a problem with your resume. 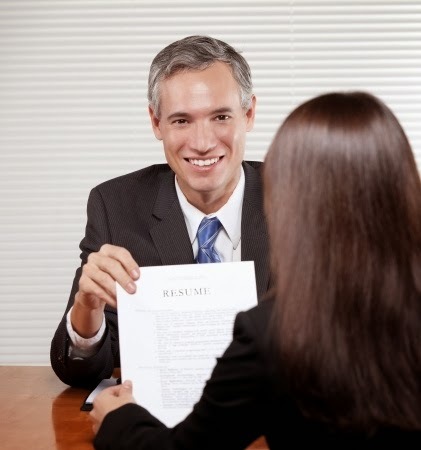 So, what is your resume saying about you? When writing down your last job description or, some of your accomplishments don’t throw in a bunch of industry jargon or use mighty weighty words to sound smart when it doesn’t make sense together. Make sure that the person reading it will know what you’re saying, even if they don’t know the industry in and out. If you are overly technical in your writing, you come off as trying a bit too hard to impress. If you fall short, you may actually end up looking like you are in over your head in your particular field. When you list traits like “quick thinker”, “pays attention to detail” or any other trait you consider relevant to the job, keep in mind, these aren’t really traits. In order to back up these claims, be prepared to record how this describes you. If you don’t list details, it is all just words, and you will be overlooked in a hurry. When you sort things you successfully accomplished at a job, most people list presentations they made, tasks they completed, or clients they acquired. This is inherent stuff that you are expected to do because it is your responsibility to do those things. List things you did that were not expected of you and how you did them. Say what it is that made you such a loyal employee for the company and why this potential job you are applying for is a perfect fit for you. If you want to have an impressive resume, you need to have things laid out right, use free resume templates and builders to get you going, know who you are and what you have to offer. Confidence can shine through in your writing if you have it. Linda Hildebrant works with Resume.com, when she is not working she enjoys spending time with her two pups and enjoying the outdoors. men aren't interested unless it's one thing to do with Girl gaga!